When to Hire a Property Management Company - Advanced Management Inc.
A major decision faced by most landlords is whether to hire a property management company. While many landlords manage their own properties, perhaps with the help of an employee or two, some require more help. For landlords who are struggling to keep up with their responsibilities, working with a professional property management company just makes sense. A property manager is a huge asset, but they come at a significant cost. Hiring a property manager isn’t the right choice in every situation, but if any of the following things apply to you, professional property management is likely your best bet. How many properties/units you own. The more rental properties you own, the more likely you are to benefit from a professional manager. Your location. Don’t live close to your rental property? Hiring a local property management company ensures that there’s someone nearby to deal with any issues that may arise. How much (or how little) time you have to manage your properties. Even if you enjoy managing your rental properties, having another day job could make it impossible to keep up with everything. If your time is limited, working with a property management company may be your best bet. The growth of your business. If your landlording business is growing, you may find yourself needing to hire help. Hiring a property management company rather that hiring your own employees makes it significantly easier to stay on top of your responsibilities as a landlord while growing your business. Get recommendations from other landlords, homeowner associations, condominium boards, etc. in your area. Interview several companies and get answers to all of your questions before signing a contact. At AMI of Southwest Florida, we provide a full range of property management services in Bradenton, Venice and the surrounding areas. 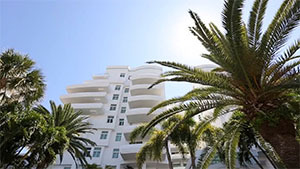 We are one of the few companies in the US to have earned the prestigious AAMC designation, and we would be proud to be the company you choose for professional property management in Florida. To learn more or to request a proposal, please contact us today.